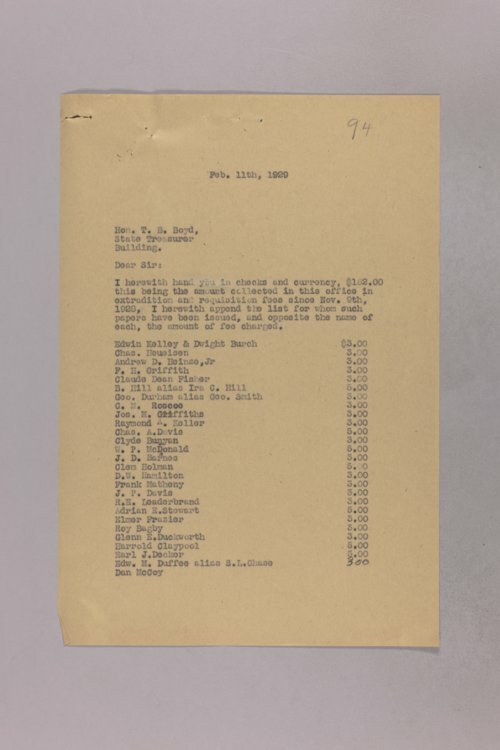 This file includes subject correspondence relating to the State Treasurer. Topics in the correspondence cover but is not limited to financial reports, clarification of law interpretation, and bids for State money. This file is part of a bigger collection of Governor Clyde M. Reed correspondence.